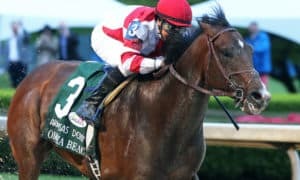 HALLANDALE BEACH, FL – Veb Racing Corp.’s Distinta closed with a rush in the stretch to capture Saturday’s Grade 2, $200,000 Inside Information at Gulfstream Park by a half-length to earn a long-time-coming first stakes victory. 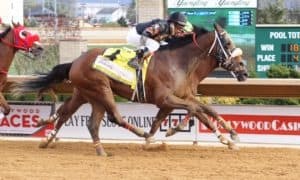 Curlin’s Approval, the 3-5 morning-line favorite, was seeking her third straight graded stakes victory of the Championship Meet in the seven-furlong sprint for older fillies and mares, but she was never a factor while finishing a distant fifth. 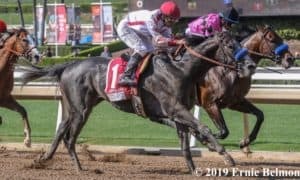 Distinta, who was sent to post as an 11-1 outsider, ran the seven furlongs in 1:23.93 while rewarding trainer Victor Barboza, Jr., with his first graded stakes success in North America. Distinta relaxed off a contested pace along the backstretch as Danessa Again set the pace, pressed by her stablemate Dearest, the 3-1 second choice ridden by Edgard Zayas, and stalked by Summer Reading. 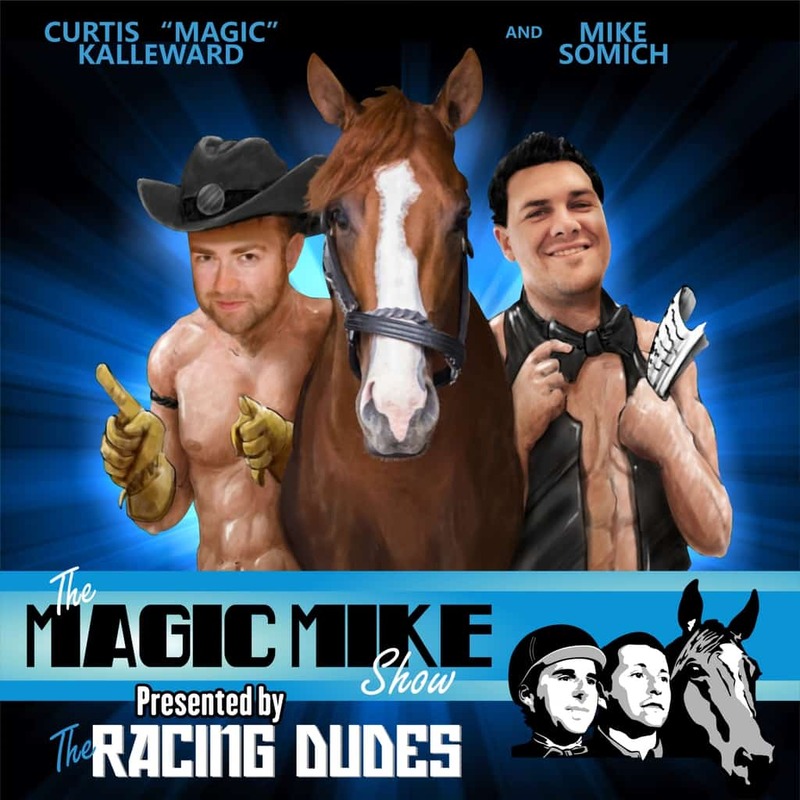 Curlin’s Approval broke alertly but quickly dropped far off the pace. 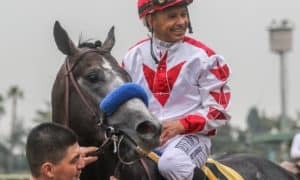 Dearest put away her tiring stablemate on the turn into the homestretch and quickly opened a clear lead in the stretch, but began to show signs of tiring as Distinta loomed boldly under John Velazquez. 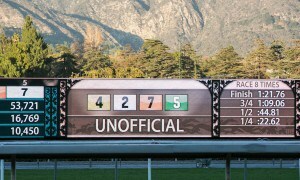 Distinta got to the wire first to claim victory, but Dearest was unable to hold off a late-charging Wheatfield for second by a head. 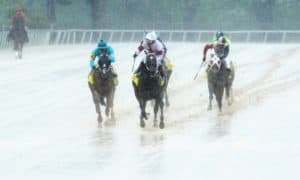 Mia Torri, Curlin’s Approval, Summer Reading, Moment of Delight, and Danessa Again completed the order. 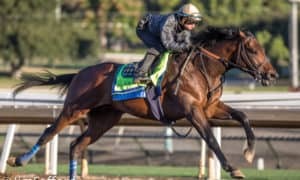 Distinta had finished an even third behind Curlin’s Approval in the Grade 3 Hurricane Bertie on January 28 and had lost a photo finish to Moment of Delight in an overnight stakes on February 18. Velazquez rode the 5-year-old daughter of Summer Bird for the first time Saturday. Velazquez figured out a strategy after watching the replay of the White Pearl, which she lost by a quickly diminishing margin of a neck. 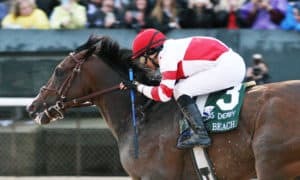 Distinta began her career in South Florida, where she was multiple stakes-placed before being transferred to trainer Jerry Hollendorfer in Southern California. Following an unsuccessful five starts on the West Coast, she returned to South Florida under new ownership and was turned over to Barboza. She has finished no worse than third in the six starts since her return. 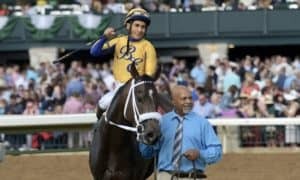 Curlin’s Approval had captured the seven-furlong Hurricane Bertie by 2 1/4 lengths before scoring by six lengths on February 18 in the 1 1/16-mile Grade 2 Royal Delta. Distinta returned $25.80, $10.40, and $9.20. Wheatfield brought back $19 and $12.40, while Dearest paid $7 to show. 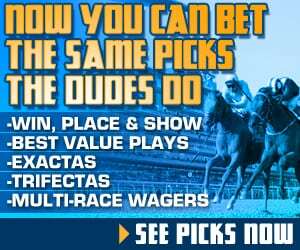 Related Items:Curlin’s Approval, Distinta, Feature, Gulfstream Park, Gulfstream Results, horse racing results, Inside Information, John Velazquez, Luis Saez, Victor Barboza Jr.